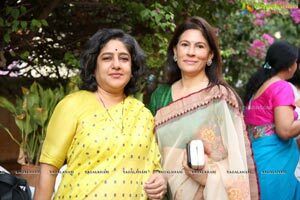 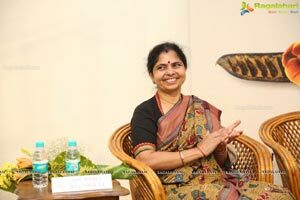 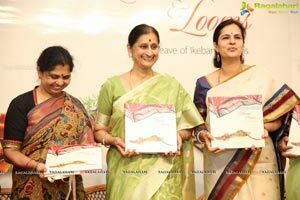 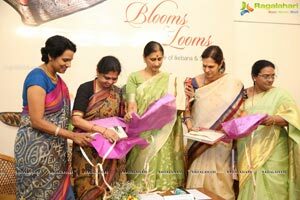 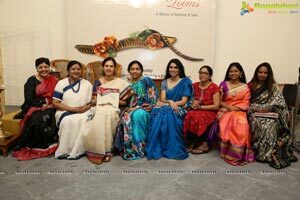 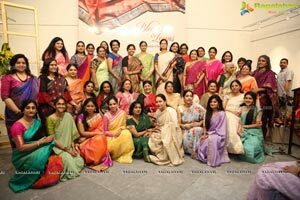 Hyderabad, 18 April 2018: Blooms & Looms-A weave of Ikebana & Saris, the first book of Pushpam Publications was launched by the Lady Governor Vimala Narasimhan,Telangana and Andhra Pradesh on Wednesday, 18thApril 2018 at Saptaparni, Hyderabad. 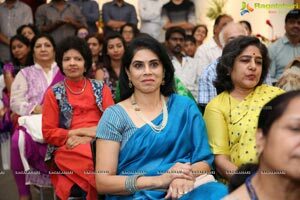 Jayesh Ranjan, Principal Secretary, IT and Industries, Government of Telangana and Rama Rajamouli, noted Costume Designer were Guests of Honor on the occasion. 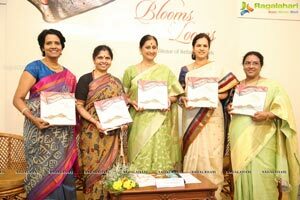 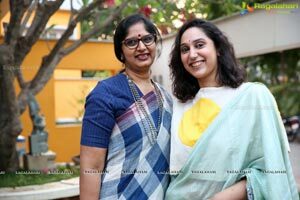 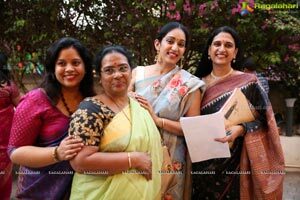 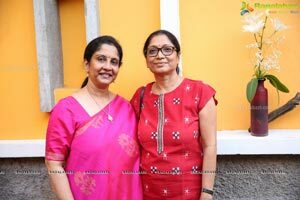 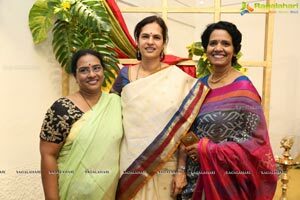 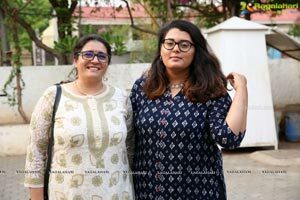 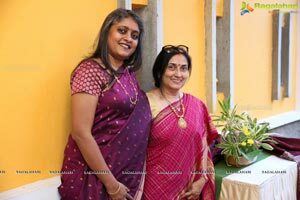 Pushpam Publications, is a brainchild of dedicated and exceptional Ikebana masters, Rekha Reddy, Indumathy Davloor, Padma Duvvuri and Nirupa Reddy. 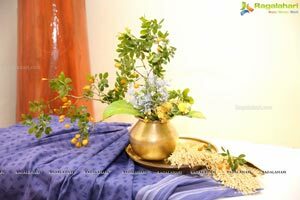 The vision behind Pushpam Publications is to publish books that could disseminate the nuanced yet deeply profound art of Ikebana, the Japanese art of flower arrangement. 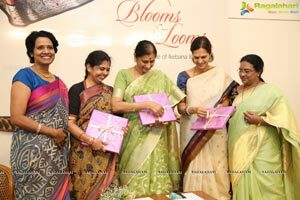 To further this vision, 55 Ikebana practitioners, from Hyderabad, all students of Ikebana First Master Ohryu Rekha Reddy, have joined hands to be part of Blooms & Looms. 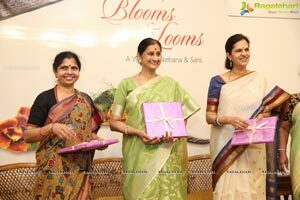 In the book Blooms & Looms India’s most iconic traditional garment, the sari, has been used as a source of inspiration to craft unique floral arrangements and demonstrate the versatility of Ikebana. 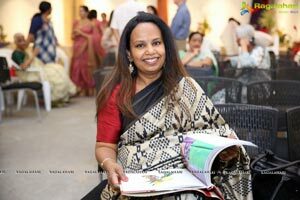 Additionally, the arrangements take a dive not only into the local flowers and foliage but also into the origin of the featured saris, weavers’ craftsmanship and skill. 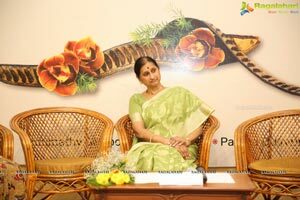 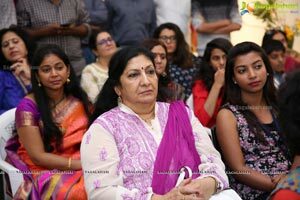 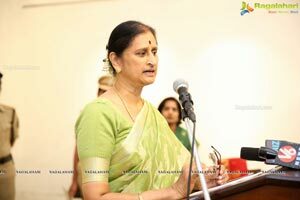 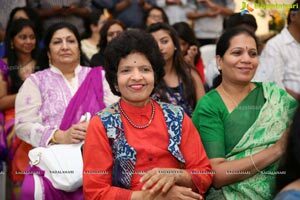 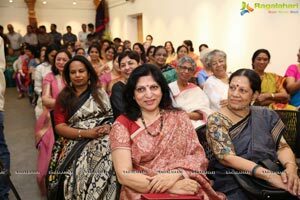 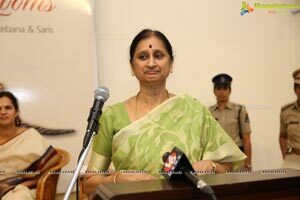 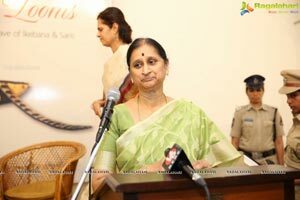 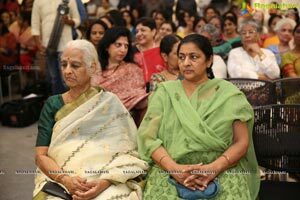 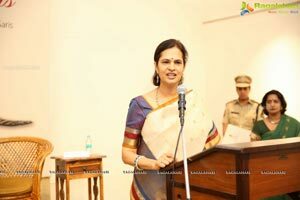 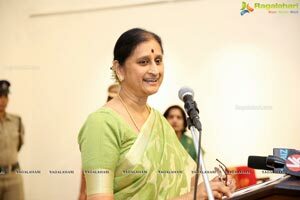 Gracing this event was the honorable First lady of the state, VimalaNarasimhan, who has been a strong proponent of the handloom industry. 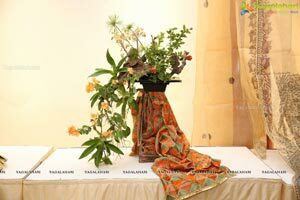 A mini exhibition was also held to provide a sample of the juxtaposing of Ikebana and the beloved sari. 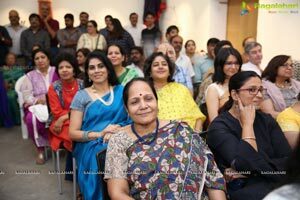 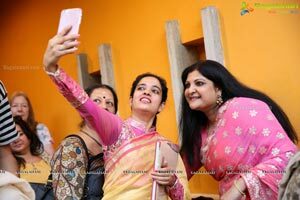 This event, a guaranteed mid­week treat to brighten up one’s day, was held at 5.00 p.m on Wednesday, 18th April 2018 at Saptapami, Road 8, Banjara Hills. 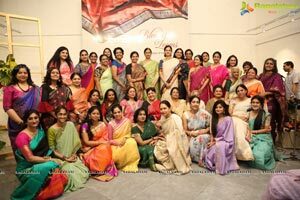 There is dwindling interest in saris in the young population. 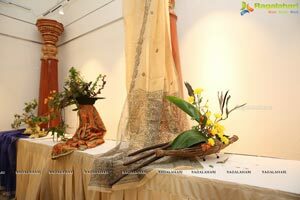 Weavers and their families are moving away from their ancient crafts and we seem to be from our traditions. 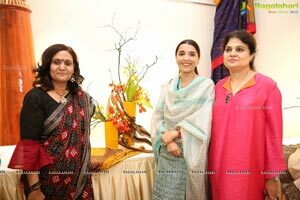 The aim is to bring about a renewed interest in saris and our culture and inculcate a deeper awareness of nature and the beautiful art of flower arrangement called Ikebana, simultaneously. 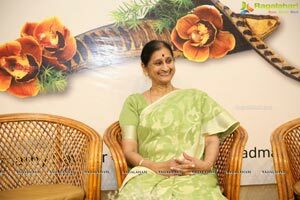 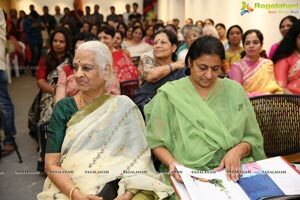 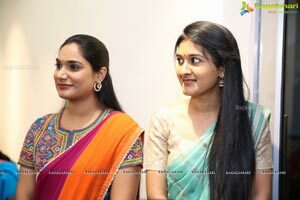 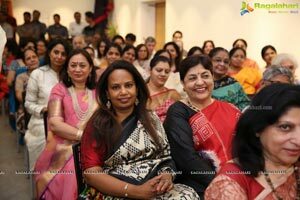 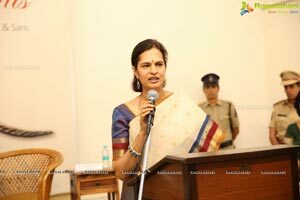 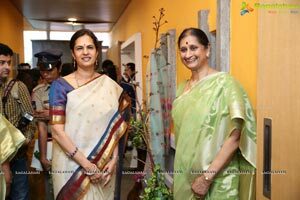 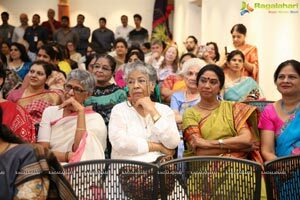 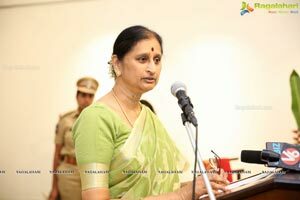 1 .From a very young age, Rekha Reddy imbibed Ikebana by watching her mother Shamala at it. Grandmaster Horyu Meena Anantnarayn honed her skills in the art. 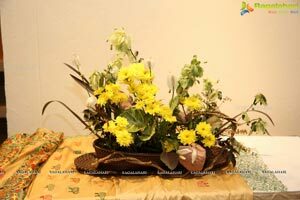 Ikebana was a hobby that has become her passion and she has been teaching the art for over two decades. 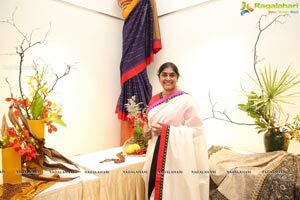 2.1ndumathy Davloor is a senior Ikebana artist with a deft hand at Ikebana as well as a flair for words. 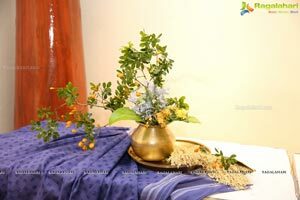 Padma Duwuri is a keen botanist apart from being a serious and creative floral artist. 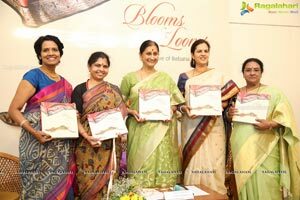 Nirupa Reddy is a much loved teacher and introduces the Japanese floral art to children. 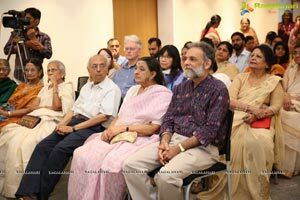 Their experience of having worked earlier on book committees has enriched this venture.